One day my father took me to the bar where he went to get coffee. In the adjoining room there was a billiard pool called “the American”. 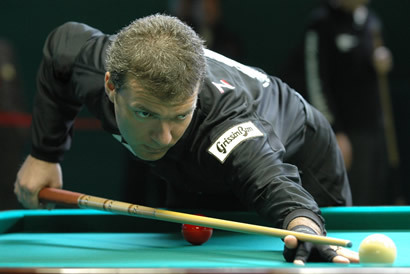 I was only 5 years old and playing alone, right there I started to write my first shots of cue. It was love at first sight. I watched fascinated those colored balls, I hit the disorderly making them run on the rugged green table. When I saw them disappear into the pits together I felt a thrill of joy and a hint of dismay. The sight of the empty pool and free his colorful accessories, aroused in me a kind of sadness, but fortunately the game could start right away. In a short span of time, among the confused feelings for children made her way a certainty, to the cushions, the soft lights of the room and the smell of chalk on the cue had become my daily bread. Since that day every time my father refused to take me to the bar, crying bitterly. A couple of years later I played my first real competition remedying a sound drubbing. I redid a few months later, winning, always in that bar, my first race. The prize was a professional cue, the thing I wanted most in the world. It was a dream come true. I watched day and night, for fear that someone could even touch and soon became inseparable. That thin instrument in my hands, turned into a deadly precision weapon, a scepter with which to dominate opponents. The impetuous infatuation, who had introduced me to the world of billiards, was maturing into a strong passion and strongly defined contours. At the time, however, I divided my days between the gambling halls and football fields. My father was a football player in Serie A and was smoldering in his mind the hidden hope of seeing me, one day, to retrace his steps. At 12 years my life took a decisive turn. A friend of my father suggested that I abandon the “pool” to go to “5 skittles.Intrigued i attempt me in this specialty and I was impressed by the difficulties of the new game. I liked it and started. It is useless to hide that the beginning was really tough. In addition to the problems encountered in transposing the theoretical contents of the matter, my game suffered a significant decline. In an effort to put into practice the concepts that hand acquisivo hand, I was in fact forced to revolutionize my player setting, with all the difficulties (and defeats!) That such a choice entailed. Add to this that the great Argentine champions at the time, tried to dissuade me from continuing on that road. According to them he would not have taken me far. Besides, I was just a child, and I could not have the pretension to teach large billiard masters a new playing technique. Several times I was about to give up, but I did not, luckily for me. Today, in light of everything that has happened to me and I’m telling you and seeing the interest that theories on the diamonds they receive from the various players of all levels, think I can say anything about the results I have achieved it is due to the goodness of that ‘intuition kid. At 14 years i won the Argentine title “under 23” and in 1985 I left with my father to Italy. 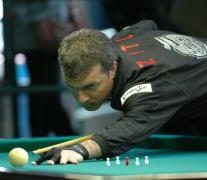 In my village there was talk of a lot of good Italian billiard school, and I, eager to enrich my technical knowledge and to confront the great American champions, I convinced my parents to let me groped this adventure. But it was an ill-fated trip. A couple of days after arriving in Turin, my father was seized with a serious heart illness, and after a week of hospitalization of Turin we were forced to return to Argentina. The great event with this magnificent country, however, was only delayed. On 10 October 1989 I went to Italy with my parents and my brother. I will always be grateful to my family for the enormous trust they have placed in me. In Italy my player’s activities began with little success because in Piedmont is only practiced “Gorizia” an almost unknown specialty in Argentina. In Turin I was training at the Academy of Plaza Montebello and the owner, Antonio Daluiso said “Samurai” greatly helped me and my family in this difficult time. Every morning I am expecting him to open the room and I played all day with him. He taught me many things, on the billiard table and the life, I owe him a lot. Blindly believed in me, he soon realized my qualities and I remember arguing with everyone saying that sooner or later I would become world champion. When I won that title in 1994 he was there, in tears, to share with me that magic moment. Thanks dear friend Samurai and thanks again for all the trust you have placed in me. Meanwhile having Italian citizenship, in 1990 in Asti I could play my first national championship. 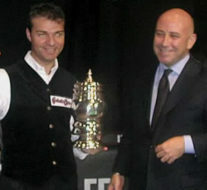 Lost the final with Giancone, but I was happy despite the defeat, because newspapers and television began to talk about me. 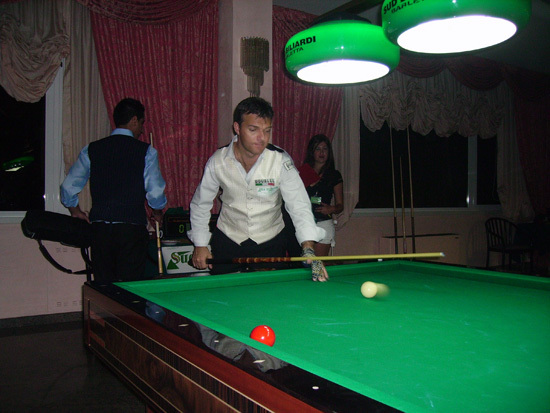 In 1991 I moved with my family in Guastalla, in the province of Reggio Emilia where, thanks to a sponsor, I was able to open a billiards room with 12 tables. 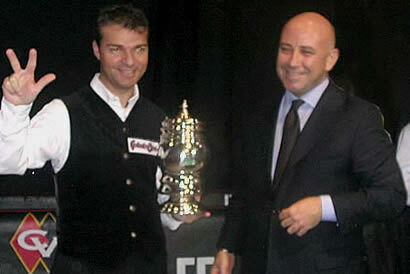 The same year i won the Italian title in Catanzaro in the final with Auletta. The following year I won the three most important races of the season: the Swiss Open, the Grand Prix of St. Vincent with 2048 participants and the Oristano national tournament. 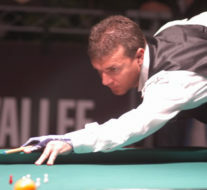 In 1992, was being born a professional circuit worldwide livel with television contracts, and although I had already won so much including the national title, was cut off from the list of the 24 PRO, then took advantage of these circumstances to relocate to the country of “snooker in England” a billionaire game, where the most skilled practitioners had passed pro since 1974. He accompanied me in this new adventure a great friend and teacher of life for me, the director Mario Lanfranchi, who introduced me in the environments of the London specialists, with whom I had also an opportunity to confront Peter Eddon and after ‘results he is also a champion! 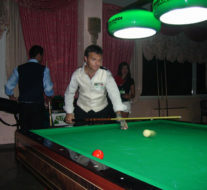 But after 45 days of stay in London, I realized that in order to compete at the highest level I should devote myself assiduously, for at least a couple of years to “snooker” and in the meantime he was’ called by the PRO circuit in Italy because they were withdrawn three players from the list of the 24 PRO. Stay and play snooker would be like starting over, and frankly I could not afford. The experience in England, however, had made me realize something very important. 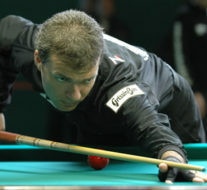 In snooker, and sport in general, the victories and the career of a sample can not be the result of true improvisation. The natural talent does not guarantee, by itself, high competitiveness, but sustained a serious workout to be practiced even outside of the gambling halls, physical intensity still, sports psychologist, sports nutrition, etc just so the result will sooner or later come. In 1993 it is begin the true professionalism. Mindful of the experience English played it in advance and decided to set up a staff team with athletic trainer, massage therapist, dietician, manager and psychologist. I was, and still am convinced, that the athletic and psychological is essential for a player who wants to compete at a professional level because many small things put together make the difference. 1993 was undoubtedly a magical year, both for the budget of the World billiards, that to me. In that year I met Raffaella, a sweet girl of eighteen, who soon would become my wife. I shared with her my greatest achievements, and less happy moments his presence has been of great comfort. Resuming on my competitive activity there is to say that, having played for two years in the professional circuit, coming to play the final two for the world title in 1993 and lost with Salvatore Mannone won in 1994 for the first time in final with Paul Diomajuta, i decided to thin out my player commitments and in 1995 only attended edition of the world championship held in Fiuggi winning the world title for the second consecutive time in the final with Giorgio Colombo. My decision to play only the major TV tournaments allowed me indeed to cultivate some side activities. 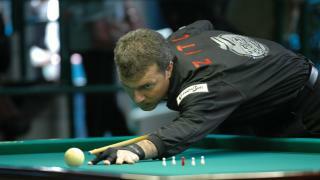 I opened it in Guastalla (RE) a billiard school, with free courses for those under 18 and for women of all ages. In 1995 i was even contacted by the actor-director Francesco Nuti, who had seen me in Fiuggi World, who has offered me a part in his film ‘Mr. 15 balls’, but unfortunately the film and’ was interrupted for 2 years and was cut my part as an actor !!! 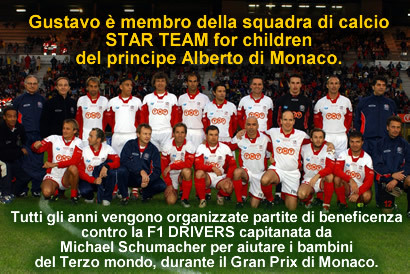 Also in 1995 I was called by a charitable association of Monaco to donate my pool cue along with many other famous sportsmen like Schumacher, Grave, Biaggi, Alboreto, etc … to make an online auction for charity. 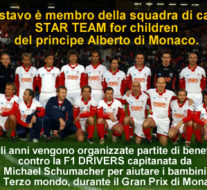 It was there that I have proposed and helped to take up residence in the Principality of Monaco. In 1996 I founded the “Gustavo Zito International” a company that deals with import and export in the field of billiards and accessories, marketing and advertising. 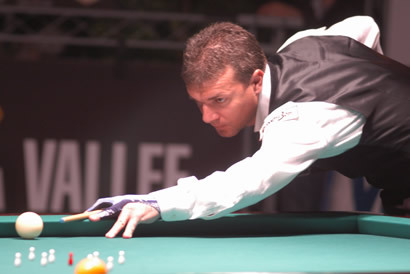 In January 1997, he entered into partnership with some residents in the Principality of Monaco, forming the association ‘Le Billard en Principaute’ with which we organize billiard competitions at European and world level. Also in 1997 we organize in Monte Carlo with the Monegasque Association of Professionals World Championship where I won the title for the third time in the final with good soul Vitale Nocerino (my great rival and friend). In 1999, returning after 10 years of absence in my native country (Argentina) where is organized the World Championship in Necochea. The public did not welcome me as I expected because I was playing for the Italian colors and saw me as a sellout, but in the final I felt for the first time also their infinite applause after I played my best and won the World against Italian Marco Sala 3-0. In 2000 I win the second Italian title. 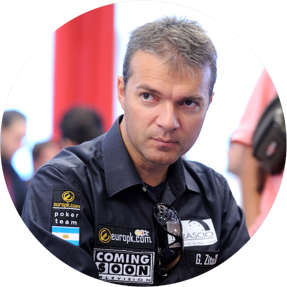 In 2002 and 2003 I win the third and the fourth Italian title thus winning the title POKER POKER of Italian and World Title. After the entry of this new sport that Texas Poker and ‘broke out in Italy and in the world I tried to slowly make some say regional tournament to test my skills’ and I realized that and’ very similar to billiards in the sense that however, you must study well your opponent and wait for the right moment to strike, and above all never to understand your state of mind, so do not understand your “BLUFF”. The first race won by poker and Texas ‘status in Italy in Valmontone in which I was the godfather of the event and since missing some players they offered me to play and to tell the truth’ I do not know if it had all been arranged or not to make me win !!! Since 2010 I started to have the first results in official tournaments. The most important since it’s been the 20th place at EPT London in September of that year when the Main Event with 840 players from 5250 £ Buy-in took home a payout of £ 21,000. Also I have cashed in other occasions like in Las Vegas, in Nova Gorica in Slovenia and also to Seefeld in Austria.